Home / News • Prisons / What is the Prison Estates Transformation Programme? This article is an excerpt from Corporate Watch’s new report Prison Island about prison expansion in England, Wales and Scotland. Sign-up now to receive a copy of the report as soon as it is published. In November 2016 the then Justice Secretary Liz Truss released the Prison Safety and Reform White Paper. It stated a commitment to create 10,000 new prison places. This will include construction or redevelopment of six prisons for men and five new community prisons for women. Five of the prisons are to be built by 2020. 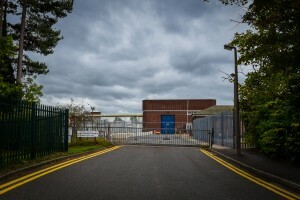 In December 2016, the first two prison locations were announced – Wellingborough and Leicester in the Midlands, and planning applications were submitted days before Christmas. In March 2017, the next four locations were announced – Rochester, Wigan, Port Talbot and Full Sutton in East Yorkshire. After nearly two years of waiting, the Government recently announced plans to abandon the women’s prisons. The state allegedly wants the first male prisoners in new prisons by December 2019. Yet only three of the prisons have received planning consent, and as of June 2018 construction had not started on any of the sites. However, in April 2018 planning documentation was submitted for HMP Wellingborough and HMP Glen Parva for the next phase of the process, demolition and site remediation before construction of the new prisons. Two of the prisons that were to be bulldozed and rebuilt, HMP Rochester and HMP Risely, still have prisoners in them and the government has announced it won’t be reviewing the decision to potentially close them until 2019. Recent reports suggest closures of ageing jails are on hold for five years at least. The state’s plans are unclear, yet one thing is certain: campaigners can’t rest on their laurels. Any delays are more likely to mean that officials are finalising designs behind the scenes, following all kinds of feedback from Planning Department Compliance Officers, as well as assembling the management teams that will make these prisons happen. Can the Ministry of Justice afford these plans? Experts are flagging up the lack of cash available for the programme. Even in the nineties when prison builds were debt-funded by the boom of the Private Finance Initiative, the Prison Service never opened more than two prisons a year. According to recent news, HMP Wellingborough will be paid for by the public purse and HMP Glen Parva will be financed privately. Writing in the Financial Times, Julian Le Vay shares his research and analysis which suggests that the overhaul of UK jails faces a £1.6bn shortfall. Le Vay was finance director of HM Prison Service for five years, before serving as director for competition in the National Offender Management Service. 6. on the 20% higher probability case [whereby the prison population would increase by 20% higher than the government’s projections], it would never be possible to close more than two prisons, and it would be necessary to start another building programme in 2025, in order to open further new prisons in 2027. It is clear from the last three decades of prison expansion: if you build more prisons, the prison population will increase. The overcrowding will then generate a need for more prisons. And so it continues. The new prisons will not solve social problems, only create more. The British state has been on one-long prison building bender since the nineties. 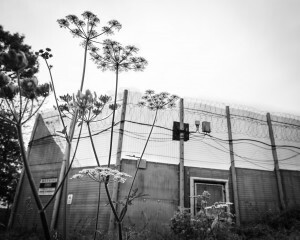 In 1992, HMP Wolds opened, the UK’s first privately run prison. During John Major’s time in office a further three prisons were built by the public sector, then privately managed. Major’s government also paid the private sector to build and run two more prisons. Sign them they did – under Labour, seven more private-finance initiative prisons opened. Now there are 14 private prisons contractually managed by private companies Sodexo Justice Services, Serco and G4S Justice Services. In 2015, research showed that privatised prisons housed 15% of our prison population, yet the government spent 23% of its prison budget on private prisons. Labour also implemented several sentencing reforms effectively increasing the population of prisoners by giving them longer sentences than ever, as well as creating new forms of indeterminate sentence. The British state has its own narrative of why the prison population has increased, involving factors such as sentencing reforms, higher recall rates, and others, which undoubtedly influence how many people are in prison and for how long. However, what is completely invisible in their analysis are the corporate actors at play and how, ultimately, “if you build it they will come”. In November 2015, then Justice Secretary Michael Gove announced plans to build nine new mega-prisons – the first five by 2020. It is unclear whether the number planned by the state has been decidedly reduced, or if they plan to announce more prison builds after this wave of construction. Either way, the announcement was not a surprise to campaigners. The state has been following the guidance of a favourite right-wing think tank to the letter. 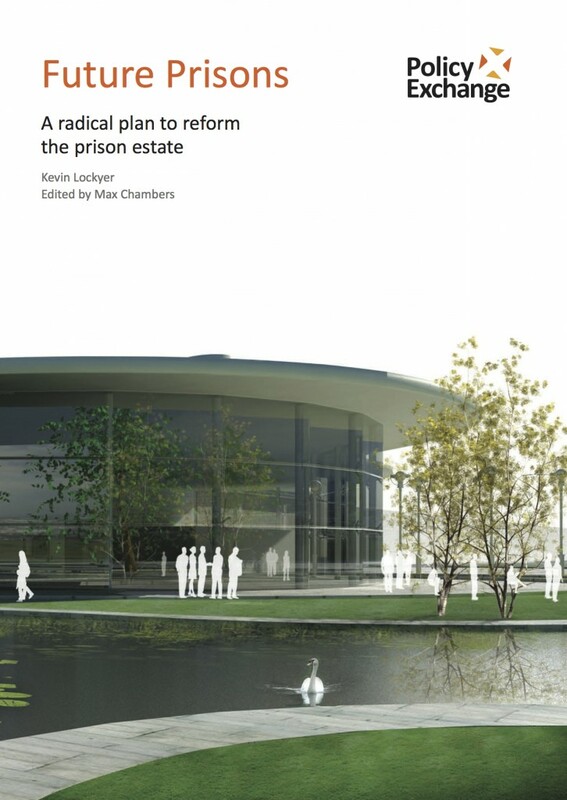 The Policy Exchange, described by ex-Prime Minister David Cameron as his “favourite think tank”, produced a report called ‘Future Prisons’ in 2013. The think tank, actually founded by Justice Secretary Michael Gove in 2002, calls for the government to shut more than “30 run-down and poorly-located prisons and replace them with 12 state of the art ‘Hub Prisons’, containing up to 3,000 prisoners”. Policy Exchange claims that the new prisons would lead to “huge costs savings, a reduction in re-offending rates and a better quality of life for prisoners and prison staff.” The policy proposals are not focused on how to reduce the prison population (this does not matter apparently) but how to reduce the cost per place. Technology plays a large role, as does sharing staff and infrastructure in enormous mega-prisons. The creation of these hub prisons would be financed by closing and selling “Victorian” prisons in areas of high land values, such as city centres. In the 2016 White Paper, the government renewed its commitment of “new for old” – yet so far they have only closed one prison, HMP Holloway in North London. It is unclear whether we are simply increasing the prison population by 10,000 or shutting down old establishments. If one thing can be learnt from the last twenty years, is that building new prisons does not reduce overcrowding or reduce the prison population. Sign up to receive a copy of Corporate Watch’s Prison Island report when it is published this August.